A few weeks ago, I managed to go for a solo run in the morning. A man pruning his hedge a few streets away in my neighborhood greeted me as I huffed up the hill. “You’re doing the right thing,” he said. You probably meant it was good to take advantage of a sunny, relatively warm day in October. You may have meant it was good to exercise. You have no idea how much that meant to have a total stranger say that. You have no idea how hard it can be to claim “me” time. Last Sunday at Mass, we gathered our kids from the babysitting room (our kids call it “Andrea and Lorenzo’s house,” named for the high schooler and her middle-school brother who babysit toddlers during Mass) and headed to Communion so they could get a blessing. This, after weeks of stress and anxiety about wanting our kids to experience a spiritual tradition, wanting them to be part of the community, and spending that hour in agony over their very LOUD and CONSTANT narration of everything. Paranoid that the people who sit nearby secretly hope we are gone that Sunday. Apologizing to everyone around us to try to avoid the potential dirty look (which has never happened, but still…). I loved reading the updates. They get cuter by the day. The FaceTime is awesome too, keep up the good work. You are an incredible mom! Tell young parents that you notice they’re doing a good job. Even total strangers. As a friend commented about this blog post recently on Facebook, I don’t know what it is about this generation of parents that makes us so neurotic. Did our moms agonize over every decision? Did they pore over parenting book after parenting book, hoping they didn’t screw up their kids’ emotional intelligence or prevent them from academic success? I talked to a new triplet mama the other night for 40 minutes. She was having family issues with visits to the NICU, and worried her milk wouldn’t come in. I listened. I told her my experiences (especially that those hospital forms that say your milk should peak at 10 days post-partum are horribly, horribly wrong; my milk peaked at 4 weeks post-partum and I am so glad I didn’t give up). I’m not sure how we got here, to this place of constant self-doubt and questioning and anxiety and fear. I’m not sure how we got here, but I know how we can lighten these burdens for each other. We can tell those who come after us: You are doing it right. You are doing a good job. Keep at it, parents. It is unbelievably hard. There is no one true way other than the way of Love, and that we have in abundance. This post is dedicated to the arrival of Ellie to our dear friends. Jen and Colin, these next few weeks will rock your world. Know this: no matter what you do, you are doing it right. She could not possibly have better parents than you. Adam and I will echo your father, Ellen and Neal & BJ’s accolades! You are fantastic parents… This has CONSISTENTLY been very evident to everyone! (And, your closing almost made me cry; I forced a stiff upper lip!) You and Alan have given – and shared – LOADS of love; such a great parenting model. 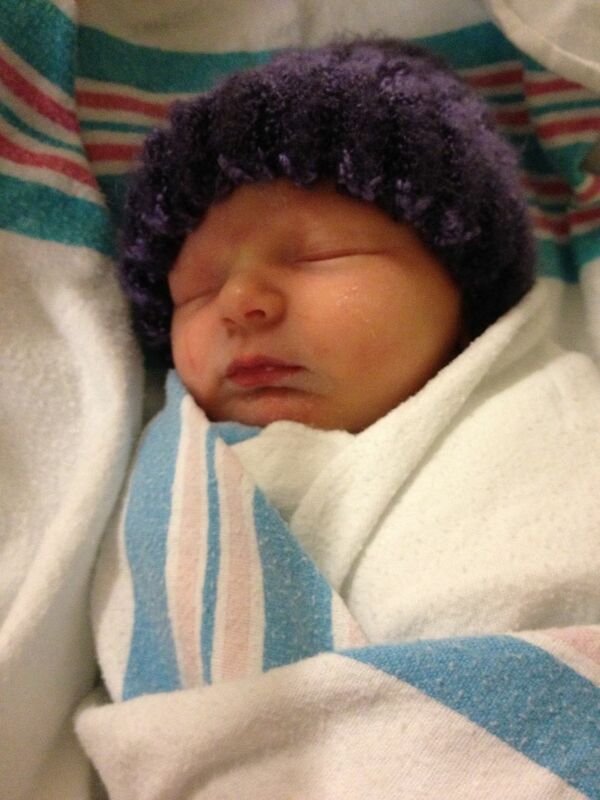 Ellie is a beautiful, beautiful child; Congratulations to Jen and Colin! Neal and I agree with Grampy 100%!! Please tell Jen and Colin that Ellie is beautiful, and we are so very happy for them!